Bicyclists, especially those who don’t wear helmets, are at a serious risk of sustaining a head injury in an accident with a motor vehicle. Victims' loved ones, as well as the victims themselves, may feel overwhelmed with the process of filing an injury claim after a head injury. Here’s a quick guide to help you understand the claims process for a bicycle accident in Iowa, the damages to which you may be entitled, and how to take the next steps. The first step in the claims process is often determining who is responsible for the damage. In Iowa, the person who is at fault for the injury is the party who is liable for it. 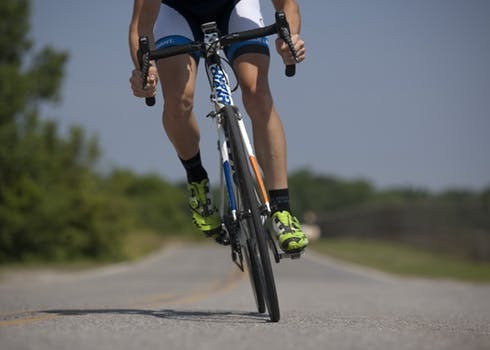 In the event of a bike accident, it is likely that the motor vehicle driver involved was to blame, meaning that the driver’s insurance will be liable for paying for damages. The at-fault driver may try to skirt responsibility for the accident and injuries by claiming that you—the cyclist—did something to contribute to the crash. You can substantiate your claim and prove liability with the following pieces of evidence. Also to determine liability, you’ll also have to prove that your head injury was a direct result of the accident, and not independent of it. How Much Am I Entitled? You probably also have questions about how much you’re entitled. The insurance adjuster responsible for overseeing your claim is the person who makes this determination. The amount will depend upon the extent of damages suffered. If you were partially at fault for the accident, then your damage amount may be reduced. For example, rear bicycle lights are becoming mandatory in Iowa and if you were riding at night without them, the motor vehicle driver may say that you contributed to the crash through negligence. If you’re offered a settlement amount that isn’t sufficient, you do not have to accept it. You have the right to negotiate for a higher settlement amount, and if need be, file a claim against the at-fault driver in civil court. To do so, you’ll need to make sure you file your claim within two-years time, pursuant to Iowa Code section 614.1. Because brain injuries often cause thousands, if not hundreds of thousands, of dollars’ worth of damages, a civil suit may be necessary to recover your full compensation amount. If you’ve suffered a head injury in a bike accident, you may be limited by physical or mental incapacities to file your claim on your own. What’s more, you may not know how to file a claim, or what you need to do to get your full damages amount. To ensure that your claim is handled as smoothly and equitably as possible, the attorneys at Walker, Billingsley & Bair are ready to represent you. Contact us at 888-435-9886.